Gina Munsey is a Mexico-born, Eastern Europe-raised missionary kid who ended up being a Californian in Orlando, Florida. 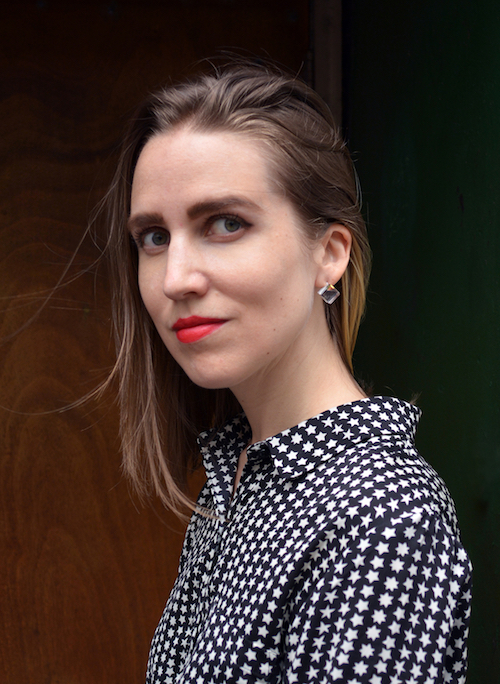 A blogger for 16+ years, editor, magazine contributor, co-op teacher, and writer who has only completed four chapters of her languishing memoir, Gina spends her humidity-drenched days full of coffee and adventures while helping her asynchronous daughter with Chinese homework. You can find Gina right here at oaxacaborn.com, or in the middle of classical gifted [home]school surrounded by stacks and stacks of books. I’m frequently asked for recommendations on diverse US history books for kids, especially to supplement American history curriculum. There’s only so many books you can read about George Washington, know what I mean? And honestly — why would you keep reading about the same handful of people over and over, when there’s a whole wonderful world to embrace? A memorable tale about a young Sioux girl whose father is an Episcopal priest in a small South Dakota town. Picture book. As a young boy, Benjamin Banneker’s curiosity and desire to learn was insatiable, leading him to later achievements in math, astronomy, and of course, his famous wooden clock. A captivating book, sure to keep a reader or listener’s attention. Chapter book. Illustrated with photographs, art, and maps, this factual children’s biography gives a great overview of Banneker’s life and accomplishments. Chapter book. Shek and Wong, recently arrived in California from China, face danger and opportunity — as well as discrimination — as workers on the Central Pacific Railroad. The brothers’ stories unfold through rich, light-filled paintings and a strong narrative. A tremendous look at the sometimes-overlooked lives of Chinese laborers in mid-1800s America. Picture book. by Charles R. Smith, Jr. When the original White House was under construction, the US government paid slave owners five dollars a month to send slaves to work. Of course, it was the slave owners, not the slaves, who received the money. This rhythmic, lyrical picture book pays tribute to those whose labor built the White House. A Coretta Scott King Award winner. Picture book. Profoundly moving, Harriet Tubman’s journey to freedom is retold in poetic prose and soulful images, speaking to the very heart of adult and child alike. Spiritual and heart-wrenching, yet indescribably uplifting. “How far, Lord? As far as you can walk with Me, My child, and I can carry you…Use your gifts to break the chains.” Picture book. Most of us know Booker T. Washington founded the Tuskegee Institute in 1881, but we may not realize the depth of sheer determination and back-breaking work which got him to that point. From teaching himself to read, to eventually building bricks and kilns to create a school building himself, Booker T. Washington’s life is retold in compelling prose and ethereal illustrations which will especially appeal to book-loving kids. Picture book. FDR famously said, “Remember, remember always that all of us, and you and I especially, are descended from immigrants and revolutionists.” This excellent book is a great choice to give an overview of, and set the stage for, the study of American history. Touching and informative, with heartwarming illustrations. Picture book. While it’s not specifically a diverse biography, this book tells the story of Emma Lazarus’ poem (“Give me your tired, your poor / Your huddled masses yearning to breathe free…”) Full-page illustrations — and fascinating factual narrative — bring the construction of Lady Liberty to life in this oversized book. Picture book. Jewish author Emma Lazarus is well-known for the lines she penned, which are inscribed on the Statute of Liberty. But who was she? And what was happening in America during the time she wrote the famed poem “The New Colossus”? Beautifully illustrated, and written in lilting prose. Picture book. The stories of freed slaves-turned-cowboys is an oft-overlooked part of American history. In this adrenaline-packed picture book, cowboy Bob Lemmons and his horse Warrior face the exhilarating dangers of the wild desert as they corral a herd of horses. Picture book. More detailed than “Black Cowboy, Wild Horses”, this picture book takes a closer look at the escapades of African-American rodeo star Bill Pickett, who was known for his daredevil bull-wrestling feats in the late 1800s. Picture book. A poetic picture book from the perspective of a single African American woman staking a claim in the Oklahoma territory during the great land rush of 1889. Based on true stories from the author’s ancestry. Lovely! Picture book. Before Sequoyah, the Cherokee language was only spoken, never written.This bilingual picture book also contains Cherokee text, the distinctive curls of the Cherokee alphabet a beautiful contrast to the tall woodcut illustrations on each page. Picture book. Matzeliger’s invention changed the cobbling industry, but the prejudice he faced as an African-American in Philadelphia nearly kept his invention from seeing the light of day. An excellent biography for children. Chapter book. With bold retro-style illustrations which bring Mills to life, this recent picture book is a lovely tribute to the African-American woman who was both a stunning performer and a champion of equal rights. Picture book. This hauntingly beautiful book illustrates the power of music to counteract heartache, and follows Mary Lou’s journey across America. Tremendously written; through the words, you can feel connection to the music. Picture book. Destined to be a classic for its art alone, this book captures the rhythm — and childhood! — of Melba Liston, African American jazz star. Picture book. I grew up on Mahalia Jackson’s music. Her songs were the soundtrack to almost every childhood roadtrip. I can still close my eyes and hear the voice of the Queen of Gospel — a one-in-a-million kind of a voice — singing about heaven’s glory overcoming earthly struggles. Don’t miss this vibrant book about Jackson and about Martin Luther King Jr.’s “I Have a Dream Speech”; it’s truly a gift. (And don’t miss this live recording of Mahalia Jackson singing “How I Got Over”.) Picture book. Day after day, first-grader Ruby Bridges, the first African American student to attend an all-white school, walks through angry, shouting mobs just to get to her classroom. But one day, Ruby stops in the middle of the crowd and prays for everyone around her. Picture book. I’m not sure I could love illustrations more than I do the ones in this picture book! Every single face has so much personality and expression. This excellent book spans the history of not just the “We Shall Overcome” song itself, but the movement and the spirit behind it — from slavery to the Civil Rights movement to modern day, beyond the United States. Picture book. Hughes’ iconic poem is fleshed out here in picture book form, the famous phrases set alongside fractured collage images of a young African American porter at work on a train. In the afterward, illustrator Collier explains the symbolism used in the illustrations. This book is bit more on the abstract side, perhaps, but both the book and the afterward make a terrific read-aloud, and will definitely spur discussion not only of the power of poetry and art to communicate, but of Hughes’ powerful message as well. Picture book. A young Penobscot boy in Maine learns a traditional craft — and a lesson in perseverance — from his grandfather. Picture book. With empathy and strength, author Joseph Bruchac tells Squanto’s story in the first person, beginning not with the First Thanksgiving or with planting corn, but with Squanto’s first journey from North America to England. Squanto is portrayed as a man of courage, and Bruchac — who himself is of Native American Heritage — masterfully writes of Squanto’s difficult role in Patuxet-turned-Plymouth. Picture book. The story of Japanese immigration to South Florida is not widely known. “Konichiwa Florida Moon” follows the life of Japanese immigrant George Morikami, who arrived in South Florida in 1906 and continued to live off the land until his death in 1976. Chapter book. What books have been your favorite for teaching the broader, more complete, story of American history? I’d love to hear! If you liked Diverse US History Books for Kids, why not click here to get this post’s Permalink, then pin it to Pinterest? Homeschoolers make art appreciation too complicated — too fussy, too drawn out, too obscure. I see so many questions in forums and Facebook groups, posted by moms wholly intimidated by the idea of teaching art to their children. Here’s the thing: you don’t have to tackle all the art at once. You don’t have to learn how to draw like Leonardo da Vinci. You don’t have to be an art historian. Effective art appreciation in your homeschool can be as simple as turning a calendar page. You can amble through the halls of Metropolitan Museum of Art at home. You can thoughtfully take hundreds of different works of art in a single year. You can teach art appreciation as easily as enjoying one masterpiece per day. no using up expensive printer ink. You can even dive a little more in depth with these helpful printable questions kids can ask when looking at art. Each page of the art appreciation calendar is double-sided, 7″ wide and 6″ tall, and includes details about the artwork displayed. Since it’s important for kids to be able to interact with masterpieces in a tactile way — rather than growing up thinking of art as a strictly “don’t touch!” arena — let kids use the discarded pages for notecards and thank you letters, collages or other art projects. Want to save your family favorites? Place them in mini sheet protectors to make mini art binders kids can look through again and again. Get your own art calendar here. How do you approach art appreciation in your homeschool? the way we worship through the consistent choices we make daily. Everything we routinely do is our liturgy, I argued. Besides, even in the context of church, Catholics do not own the term. Many Protestant worship services contain liturgical elements. My colleagues dissuaded me. I compromised, concluded I’ve spent too much time reading the dictionary, and went with the word “rhythms” instead. But the exchange stayed with me, and I haven’t been able to stop asking questions. (I still like the word “liturgy.”) Why do we tend to think liturgy is Catholic? Don’t even the most seeker-friendly emergent evangelical churches practice many repetitive liturgies of their own invention — for example, in the distinct and recognizable way a worship team continues to play chords and pluck guitar strings while the leader transitions from singing to prayer at the end of the first set of songs, every single week? Why are so many Christians determined to reinvent and rename the entire church experience, swapping out every term for something more relevant and hip? Why do American evangelicals think there’s an inverse relationship between the quantity of art in a church in the the quantity of holiness? Why is “church art” dismissed as religious in non-denominational circles? 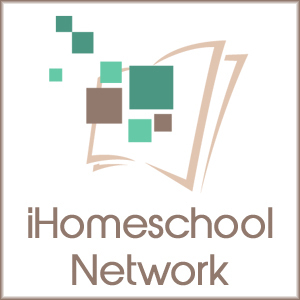 Are you homeschooling a gifted / twice-exceptional (2E) child with sensory-seeking tendencies? Me, too! Let’s navigate this wild ride together. I created this mega-post for you, a huge list of 100 resources, sensory tools, educational websites, digital subscriptions, apps, games, morning time ideas and tips for homeschooling gifted and advanced learners.
. . . a two-year-old begging to learn to write.
. . . a four-year-old offering to read a bed-time story, then reading “how to prepare a slide” from the appendix of a microscope encyclopedia.
. . . a five-year-old reading 500 books in one calendar year.
. . . a six-year-old reading 500 more books the next calendar year.
. . . a seven-year-old overcome with emotion, hugging a beloved algebra textbook before reluctantly dropping it down the library book return. You won’t find much support from the world at large for this sort of aberrant behavior; and sadly, you won’t even necessarily find that much within the homeschool community (until you find your tribe — more on that, later.) But this is my normal, and I am willing to bet that if you’re still reading this, it might be your normal, too. Are you feeling tired, discouraged, or intimidated? 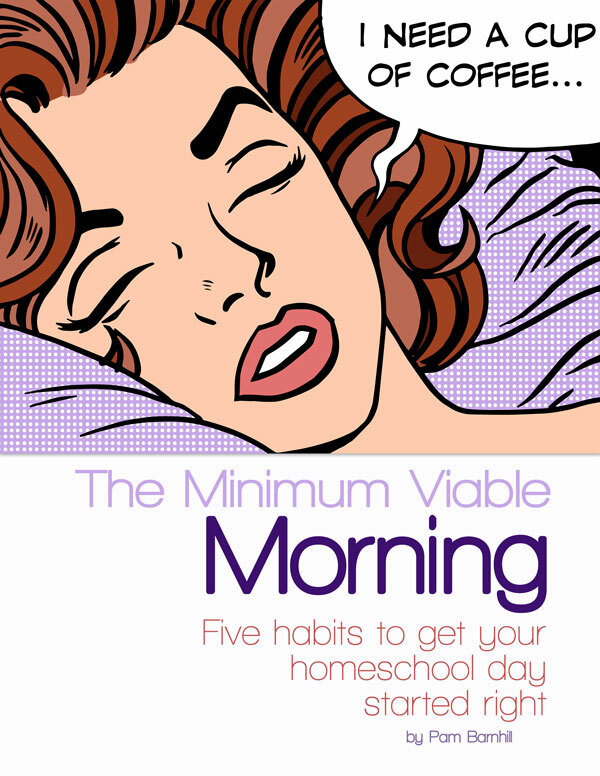 I’ve been in this homeschool world for a long, long, time. 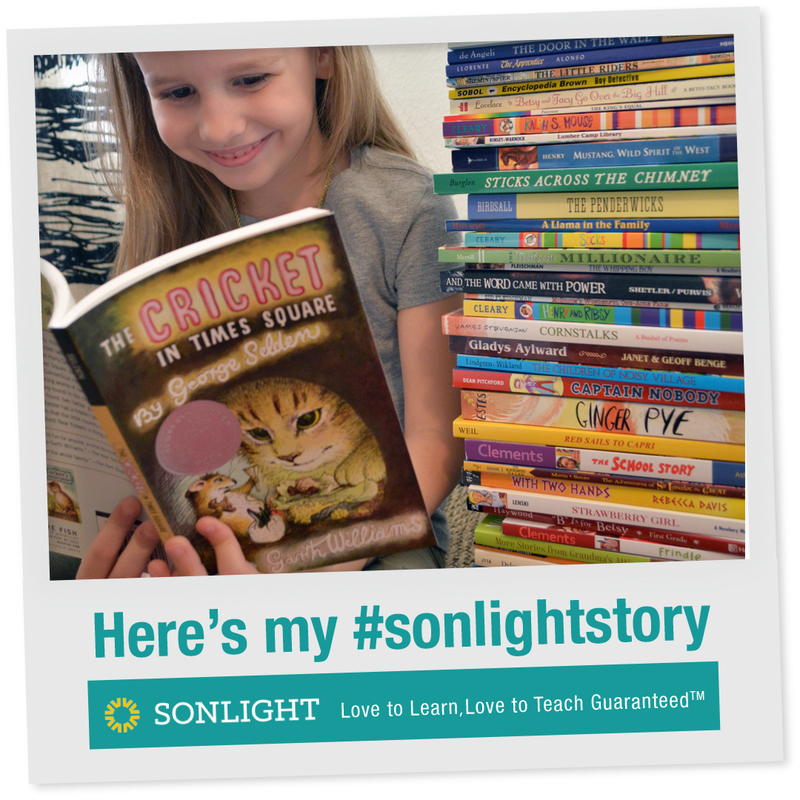 I’m the child of homeschool pioneers, and I’ve been a reader since age three. And friends, you can do this. You can homeschool your gifted child. I’ve organized the following — gigantic! — resource list into sections, so you can jump directly to the tools you most need. Of course, I hope you’ll read through the entire post, though, because I think you’ll find a lot of helpful information for homeschooling gifted kids. [We are a participant in the Amazon Services LLC Associates Program, an affiliate advertising program designed to provide a means for us to earn fees by linking to Amazon.com and affiliated sites. 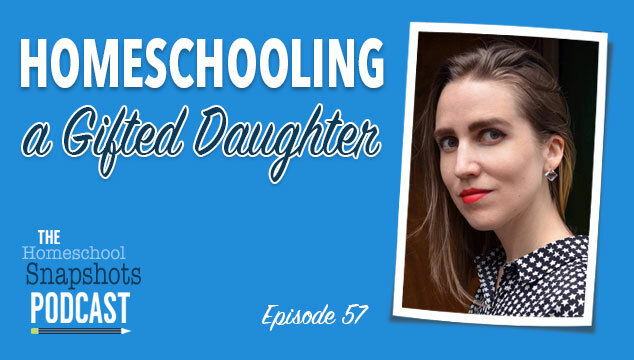 Homeschooling a gifted child is a whole different thing, isn’ t it? It’ll try your patience. It’ll test your mettle. It’ll put you at odds with the conventional homeschool community, as you, stapled to a cheetah, are wholly unable to conform to the delay-formal-academics-until-age-seven mantra. And I’ll be real: it might even cost you friendships. But for the gifted child — especially the twice-exceptional child — homeschooling offers an opportunity to thrive. You have the opportunity to create a personalized situation, especially designed for your child’s own quirks, strengths, and weaknesses. Spelling below grade level? Yup, you can accommodate that. Thinking mathematically far above grade level? Yup, you can accommodate that. Needs chewing gum and a wiggle seat in order to focus? Yup, you can accommodate that. You get to create your child’s own IEP and learning environment — and you don’t have to fight anyone to get the accommodations approved. While no two gifted kids are the same, there are definitely some common threads running through the tapestry. Weary mama stapled to a cheetah, you are not alone. Let’s keep going down this list of one hundred resources, books, websites, products and tips for homeschooling gifted and advanced learners. This small plastic fidget is covered with rubbery nubs, and has numerous twistable joints so it can be manipulated into endless shapes. Fits easily in a pocket; a favorite! This puffy slime only keeps its volume for one day, but is relatively inexpensive to make, especially if you already have saline solution on hand. We skipped the dye. I prefer Crazy Aaron’s Thinking Putty to the other silly brand. The mini 2″ tins are perfect. Not just for preschoolers! A couple of teaspoons of beads in a $1 plastic shoebox provide lots of soothing sensory play. Add a drop of lavender EO and grapefruit seed extract to keep the beads from getting musty. These particular pencil grips were recommended to me by an OT, and have been very effective in correcting my daughter’s grip. The colors of ARK Chew pendants correlate to different levels of toughnesses, from soft to more durable. Depending on your child’s personal preference, one might work better than another. Once we bought a chew necklace — and gum — presto! no more chewed and ruined shirts. Free of both sugar and aspartame, this gum has been a lifesaver. Lots of kids can focus so much better when chewing gum. I can’t say enough good things about wiggle seats! They’re a cross between a chair pad and an exercise ball, and allow the user to wiggle. In fact, since you inflate the balance disk to fit the person’s weight, the user has to wiggle at least a little in order to maintain balance on the chair. It’s a discreet way to get the wiggles out when you still have to be seated. When my daughter first took outside classes (at age 3 for Chinese) she took her wiggle seat with her. Game changer — and not just for kids! It can be frustrating when we expect kids to immediately grasp abstract math ideas without tangible examples — why not use concrete methods first? These place value disks are so versatile. My daughter likes to read entire books while rocking or bouncing on an exercise ball. Yoga Mats can make a great surface for read-alouds, lapbooking, etc — not all school work has to be conducted at a table or desk! The texture is especially fun when layered over a plush rug. Try to choose a mat that’s OKEO-TEX certified, so it’s not off-gassing endocrine-disrupting chemicals. We found ours at Aldi! Comparable to the sensory brush sold by Fun & Function. It makes a great fidget, and we’ve also had good luck diffusing meltdowns with this, too. Under the “What should the teachers know about your child?” heading of a class registration form, I once wrote “May try to pet other students’ fuzzy shirts“. True story. Sometimes, it helps to have the fuzzy shirt near. No one can resist a good flippy-sequin — they’re addicting! My daughter keeps a swipe-sequin pillow nearby when she’s doing written work on the floor — and they’re the ideal squeeze-buddy during a read-aloud, too. We got ours at Hobby Lobby; but here’s a similar swipe-sequin pillowcase. The top side is of the Toftbo mat covered with ultra-soft nubs, and the reverse side is slightly grippy. It’s a fantastically economical sensory rug — can be used for a reading corner, chair pad, on the floor to dig toes into, or even as a tactile item to play with while listening to audiobooks. And did you know you can find IKEA items on Amazon now, too? Soft velour on one side, and gel beads on the other, this sensory mask can be placed in the freezer. The hot water bottle is a classic for a reason! Comforting and calming. I especially like this pre-diluted lavender roller — it’s safe for kids! Stress balls are so easy to make, and so satisfying to squeeze! We’re only a quarter of the way through this huge list of resources, so let’s keep going…. Five years ago. I don’t wish time to stop, because if time had stopped then I wouldn’t have today in all its glorious tumbling mix of beauty and brokenness. No, I never wish time to stop. This photo from the past is a femtosecond suspended in space — a single transient moment in time’s flight over us. We’re in my favorite place on earth, high above the sea overlooking Bodega Bay, and the white-bright sunset is casting slivers of diamonds over us, by the handful. My pants don’t match my shirt, and I’m wearing my brother-in-law’s too-big shoes. She’s set to bolt away and grab fistfuls of sand. The sky is molten. We are hands on a clock, dials on the face of the sun. The shadows go round, and round, and round. She’s so little here, my third-grader, and my heart sometimes feels like it will split right down the middle. Strangers, won’t you step down and lift your head and open your eyes? Won’t you see beyond the narrow explanation you’ve created in your own mind? You ask me why I had no more; I reply: no more arrived. You ask so often. Do you realize how often you ask? You never see the sorrow in my reply. You ask at the line in the grocery store. You ask at the library. We’re dependent on God for so much. The thin tissue of our lungs fills and empties, fills and empties, fills and empties. We breath in oxygen; our organs are fed. We do not owe the function of these inner workings to our own righteousness. Our heartbeats, our respirations, the skin that covers these shells — gifts from the Maker, all. Don’t count and measure and compare. We aren’t given equal portions in this life, but we are given enough. We are given our portion. It is my sorrow that my arms cannot hold more; yet it is my joy they can hold the unspeakable gift I’ve been given. Can you look at this life as liquid gold, with me? As chrysolite and as chalcedony? We all walk sacred ground; there are no ordinary places. We are souls inhabiting bodies; we are magic of the celestial kind. Look to the Light, my friends, look to the Light and rejoice.